On Monday (PT), host of CNBC Africa’s Crypto Trader and founder of OnChain Capital, Ran Neu-Ner, appeared on popular CNBC business program Fast Money to provide insight on the recent sell-off experienced in the cryptocurrency market; totalling some $US50 billion across just over thirty hours. What if BTC Falls Below Mining Costs? According to Neu-Ner, the weekend’s BTC price action is nothing but a continuation of the bearish sentiment that’s controlled the cryptocurrency market for basically all of 2018. Having failed to garner support at ~$6,800 – and then ~$6,650 – in recent days, Neu-Ner warned investors to monitor the key support level of ~$6,250. Should the Bitcoin price fail to find support here, the next point to watch is ~$5,900. Of course, there remains debate over whether such a range is even influential, as pointed out by panel member Timothy Seymour, given that real-world demand for Bitcoin and cryptocurrencies has not yet been established relative to commodities like gold and copper, for example. Although many attributed the crypto market’s ~$50 billion slump to the weekend’s ~$40 million hack launched upon South Korean crypto exchange, Coinrail, Neu-Ner argued that reaching such a conclusion was too big a stretch. Whilst admitting to troublesome “flaws in the crypto infrastructure,” the CNBC Africa presenter added that this shouldn’t come as a surprise given the infancy of the cryptocurrency market; one that is valued at just ~$300 billion. Fast Money host Melissa Lee asked Neu-Ner if there were any circumstances where he’d advise Bitcoin HODLers to sell, given even he is expecting the BTC price to keep falling. Playing devil’s advocate, Lee countered by arguing that Bitcoin and DLT enthusiasts are eternally suggesting it’s “a good time to buy,” when clearly this advice has been repeatedly disproven throughout 2018. Responding, Neu-Ner took to qualifying his earlier statement; emphasizing that “now is a great time to buy if you believe in the long-term [potential] of blockchain.” In this sense, he suggests that it’ll be of trivial importance whether a Bitcoin investor buys in at a BTC spot rate of $6,000 or $8,000 should prices escalate deep into five-figure totals over the upcoming years. 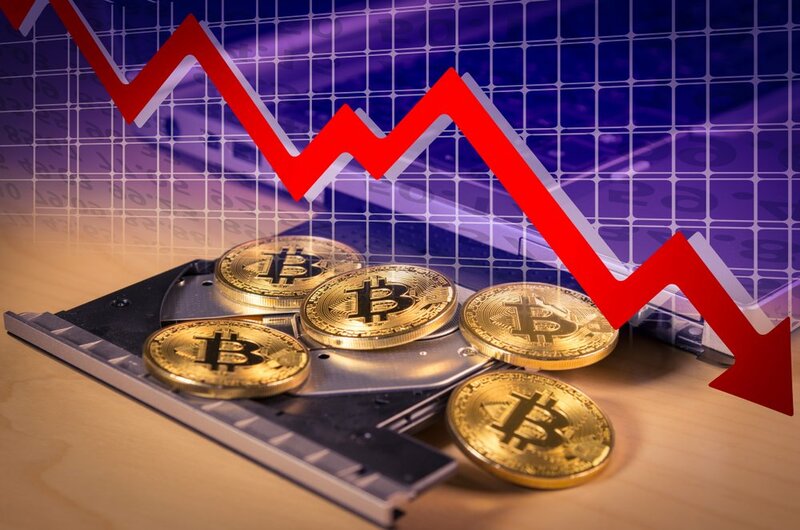 However, for short-term investors and day traders, Neu-Ner foresees “better opportunities to buy in” later in June; reinforcing his belief that BTC will continue its downward trend toward $6,000.